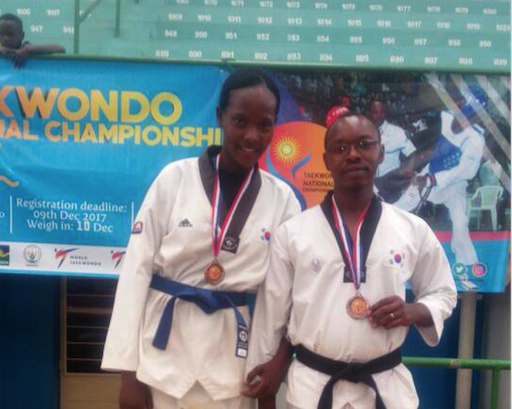 Two Police officers, Sergeant Console Birori and Corporal Gilbert Ruterana, won bronze medals, in the national Taekwondo competition, which took place yesterday at Petit Stade in Remera. The three-day competition which started on December 11, was attended by fourteen clubs from different places across the country. The dual was announced as bronze winners, after emerging best fighters of the tournament in the category of under 70 and 63 kilograms respectively. Sergeant Birori holds a blue belt while her compatriot Corporal Ruterana is a black belt bearer and both have so far won different national and regional medals. Both fighters have each won six medals in different national tournaments. Corporal Ruterana, the champion of Rwanda Taekwondo tournament who also juggles as the Rwanda National Police Taekwondo Club coach, attributed the win to intensive hard work, discipline, ambition, and the overall support and guidance from top RNP management. “Our main objective, is to put up a stunning fight and take medal every time we engage into competitions. We have set that goal, and this has become a huge motivational force for us to take more and medals.” Said Ruterana. The Rwanda Taekwondo Champion, said the team is going to resume training as they prepare different upcoming national and international competitions. Taekwondo is a technique of unarmed combat for self-defense that involves the skillful application of techniques that include punching, jumping, kicks, blocks, dodges, parrying actions with hands and feet. 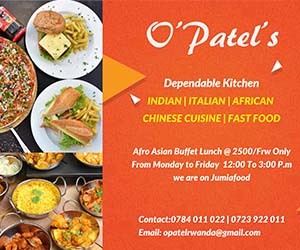 Apart from the Taekwondo, RNP has different other sporting activities including Police FC and Police Hand Ball Club, which took all the trophies organized organized in the country. Sports is one of the main channel the force uses to interact and communicate its message to members of the general public.